An increase in the demand for fruit juices in a modern health-conscious world has caused a marked increase in the use of bogs for the cultivation of cranberries. The American cranberry (Vaccinium macrocarpon) is indigenous to northern America where it grows naturally in acid peat bogs and has a distribution that includes areas that are prone to frost at any time of the year. Commercial cranberry production started in the mid nineteenth century and is now a major industry occupying about 14 000 acres in Wisconsin alone. Cranberry production as a cultivated crop has until recently been mainly concentrated in northern America but is now being developed also in Finland and Poland. 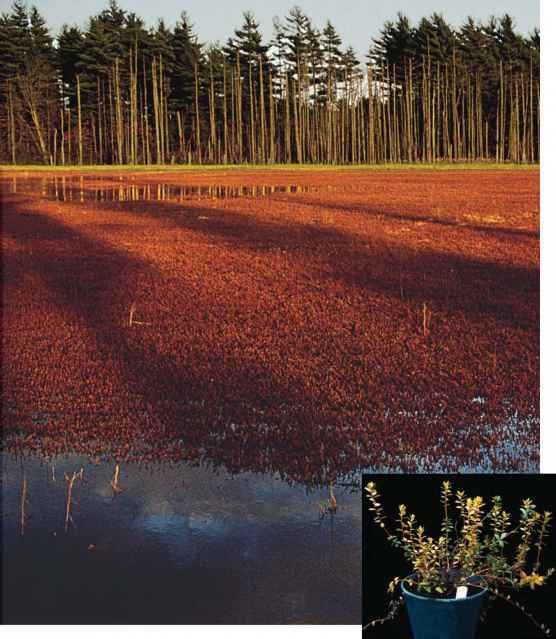 Because cranberries are sensitive to frost damage and natural winter protection by snow cover is often unpredictable and insufficient, the cranberry vines are grown in specially constructed cranberry bogs which are flooded in winter (Fig. 11.25). The water freezes to form an ice blanket, which prevents drying of the evergreen vines by cold winds and minimizes fluctuations in temperature. While frost damage is avoided by this treatment, the ice impairs oxygen diffusion. Consequently, the submerged plants are prone to oxygen deficiency stress, particularly when the ice is covered by snow which reduces the light reaching the submerged plants and prevents the evergreen leaves from alleviating their interrupted oxygen supply through photo-synthetic activity. Ice encasement of vegetation occurs regularly under subcontinental and northern maritime climates and has been a serious hazard in these regions for a number of overwintering crops. 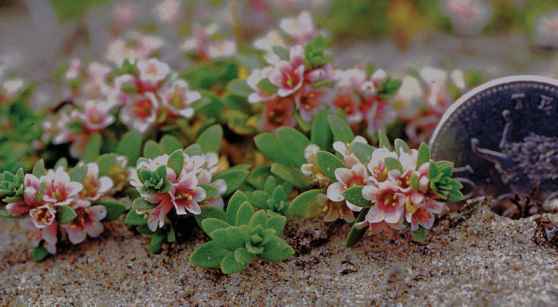 Healthy cranberry plants can survive for up to six months under winter ice in flooded bogs provided the ice is not covered in snow. A deep snow cover excludes light from penetrating to the submerged plants, and by depriving them of photosynthetic activity stops the generation of oxygen, and consequently anoxic conditions frequently develop to a degree that damages the plants under the ice. Especially dangerous are warmer periods during flooding, when respiration rises, and carbohydrate reserves in the plant are rapidly depleted making the plants more sensitive to subsequent ice encasement. The carbohydrate status of the overwintering vines has also a direct influence on fruit set. In spring, a rapid resumption of growth requires adequate carbohydrate supplies, and insufficient carbohydrate levels may be responsible for the low fruit set which is sometimes observed. 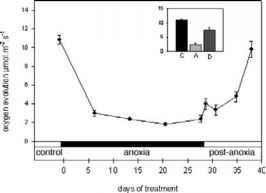 Experimental studies on the effects of oxygen deprivation have shown that during anoxia (the total withdrawal of available oxygen) the mature leaves exhibit a marked down-regulation of metabolism. Carbohydrate consumption and energy metabolism stabilize at low levels soon after the switch from aerobic to anaerobic pathways. Pathways such as TCA cycle or photosynthesis, which are non-operating during the anoxia treatment, are severely affected but still measurable after 28 days of anoxia. Most remarkable, however, is the rapid recovery (Fig. 11.26) in aerobic respiration and photosynthesis which takes place when the plants are returned to air (Schlüter & Crawford, 2003). 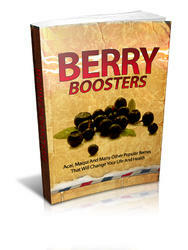 The many medical benefits of cranberries have created a strong demand for this fruit and its juices. Cranberries contain proanthocyanidins (PACs) which can prevent the adhesion of certain bacteria associated with urinary tract infections, including Escherichia coli. The anti-adhesion properties of cranberry may also inhibit the bacteria associated with gum disease and stomach ulcers. Such is the success of the American cranberry (Vaccinium macrocarpon) it has stimulated the market for similar fruits from Europe with an increasing demand for the European cranberry (Vaccinium oxycoccos) and the small cranberry (V. microcarpon), lingon berries or cowberry (V. vitis-idaea), and blueberries or bilberries (V. myrtillus). Fig. 11.25 Cranberry bog in Massachusetts in late autumn just after the vines have been flooded for winter frost protection. (Inset) Cranberry plant (Vaccinium macrocarpon) which has been kept under total anoxia for 21 days followed by 3 days post-anoxic recovery in air. The only damage visible is to the younger leaves, which turned pale yellow on return to air.